We’ve all been asked, “How do I pick a church to attend?” And it is not a small question! In one way or another, we at 1517legacy.com are always attempting to answer that question—and in a Biblical way! Wise laity will select a parish by what it confesses. Many of us long ago eliminated the Roman Catholic choice and did this on the basis of what it confesses. Fewer of us have done the same with “evangelical” parishes, but in days such as ours, that is important as well. What does my “evangelical” parish confess… or does it? Rome’s answer is detailed, but many “evangelical confessions” could be written on a postage stamp. But that is important for us all to know, too (and to notice if eschatology is the center of their confession) For a layman to choose on the basis of a church’s confession requires that it actually has a confession. 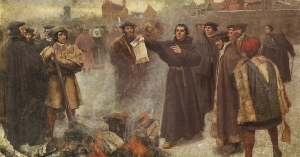 During the time of the Reformation, the Lutheran writers put major emphasis on the nature of our plight (a view of sin that was “in-depth,” as well as emphasis on the nature of the faith that saves). That meant an analysis of Christ’s claims about Himself, as well as His claims regarding His death and what it would do for sinners. For this Luther and his followers were charged with being “one trick ponies,” with talking only about Christ as our Substitute, our Lamb and not much else. Were there time in a blog to answer that charge, I’d attempt it—but time limits. 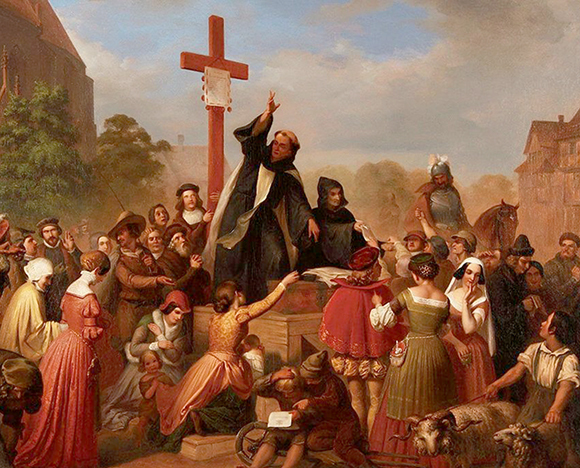 What Luther and his early followers were doing was definitely hierarchical (“What is the most basic message of the Bible?”) and their answer was, “For sinners, it is who Jesus was and what His death did for sinners.” All other subjects—even Biblical subjects—were subservient to an accurate view of the Person and work of Jesus Christ for sinners. Could they have erred in this? Sure, they could have. For example, the most important theme of the Bible could be the “improvement of sinners?” Or an “inside track on what is coming in the future,” or any of a hundred other subjects. What a church confesses as to “what is the central message of the Bible” is defining. The 16th century was, as Dr. Roland Bainton points out, a “theological century.” To attempt to grasp the 16th century apart from the categories of sin, of Christ’s Person and work, and of the nature of saving faith is, according to Bainton, virtually hopeless (for example, attempts to understand it via the growing nationalism, the decline of feudalism, etc. will inevitably fail to “grasp” what was unique to that era.) So what was unique about the Reformation’s answers to the central question of whether or how sinners could be justified, given that God the Creator is perfectly holy, and that He demands of His creatures a complete holiness—both outward and inward? Luther and his followers attempted to answer that question in terms of Christ’s Person and work on behalf of us sinners. And they insisted that the Bible’s answer was certainly not (to use today’s evangelical buzzword) a “transformation of sinners.” Rather, it was in terms of who Jesus was and what His death accomplished for sinners.